This essay presents “a missional model” for science and faith issues precisely because it is written from a Latin American (L.A) context and from a Christian evangelical heritage. Michael Roberts considers that the evangelicalism can be defined by the following characteristics: activism, bible, conversion, death of Christ, enthusiasm and fellowship.6 Alongside this, its elevated growth in the world suggests that talking about evangelicalism is to talk about missions.7 Therefore, the seed for a progressive and fruitful development about science and faith issues, at least from the Latin American evangelical perspective, should be planted and cultivated in the land of the missionary worker. Latin America presents a low average of scientific production unlike Europe, the United States and including some countries of Asia. The Organization of Ibero-American States for the Education, Science and Culture (OEI) reported that 5.3 % of the students of this geographical region, graduate from natural and exact sciences, 2.5 % engineering and technology, while 14.2 % graduate from humanities and 56.4 % from social sciences.8 This demonstrates the great interest in social sciences as opposed to the natural sciences. This pattern seems to be reflected in Christianity in L.A. The contemporary academic evangelicalism in L.A, as well as the promoters of liberation theology, has made important contributions to Christian missions from social sciences. Interestingly, almost there not have been academic contributions from the natural and exact sciences.9 From this panorama, the evangelicalism in L.A does not present a propitious context for the fruitful development about science and faith issues. In comparison to the scarce scientific context, L.A is extremely religious. There were 498 million Christians in 2005 and it is expected to be the second largest continental block of Christians in 2025 in the entire world.10 The context for L.A is prominently religious and superstitious, where the universal asseverations of sciences often are refused in favor of spirituality and faith. 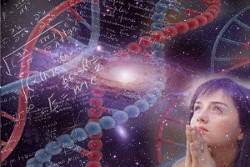 In this context, science and religion issues can serve as apologetics for sciences.11 Consequently, this model is a mission for science in a context of faith. 1. A mission for science and faith: The work of scientific investigation as well as the reflections of faith in the light of encounters with nature, as Robert Boyle argued, should be appreciated as a sacred work. The implication is a direction needed of missionary efforts to the development of the scientific knowledge. 2. A glocal mission: a missionary mindset that focuses on nature brings a focus on the global and local mission. 3. An educational mission: The order and the comprehension that it is obtained from the nature combined with the Christian mission of making disciples and teaching the doctrine of the Christian faith, invite us to promote a mission of science and faith with a strong educational emphasis. 4. Interdisciplinary mission: It is true that in the matter of science there are declarations that claim to be approved in any context. However, the nature itself manifests a stratified reality that leads us to assume multiple sciences and models to better apprehend nature.15 Believing that any one discipline can explain everything is a notion of imperialism without an empire.16 This invites us to create an integration and interdisciplinary mission. 5. An evangelical reformulated mission: If anyone takes the evangelical characteristics proposed by Roberts and reformulates, one would derive an implication and goal of the model. The reformulation would be: a) a fervent activism for this type of mission; b) a Biblical centralism from new literary approaches; c) Christ's death, but also incarnation, work and resurrection; c) a conversion that includes the dimensions of restoration and redemption of everything; d) an enthusiasm to experience new encounters with nature; and e) a fellowship of faith that feeds the spirituality, the significance and sense of the natural world as we suppose that was founded from God's reality that in Christ and through the Holy Spirit, makes all things new17. This article was translated by the author and reviewed by Cecia Millán.